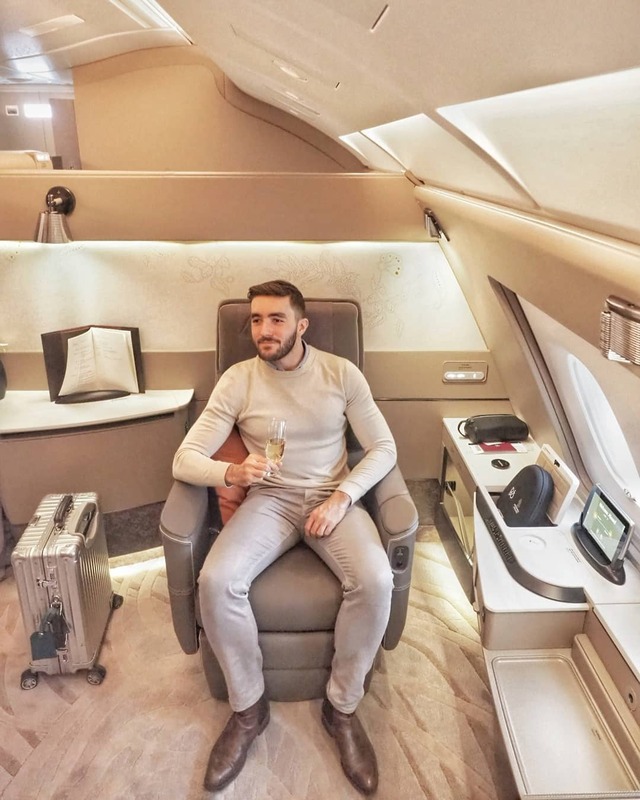 Jarvis Marcos flies over 100,000 miles per year in first or business class style and books his luxury flights using a variety of promotions and other tricks he’s learned over the years. 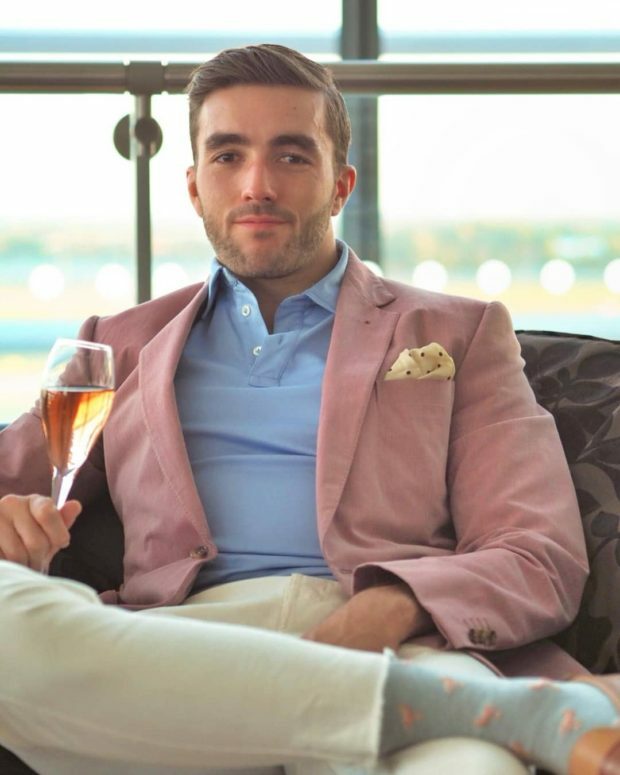 In this Q&A with the well-travelled, London based office professional, we discover how his love of flying developed and gain some top tips about his unorthodox approach to living the high life. Tell us about your unorthodox approach to travel and in particular flying? My approach is based on the fact that there are four major variables when travelling: Speed, Comfort, Destination, Price. It is almost impossible to cover all four and even getting three ticked off can be tough. 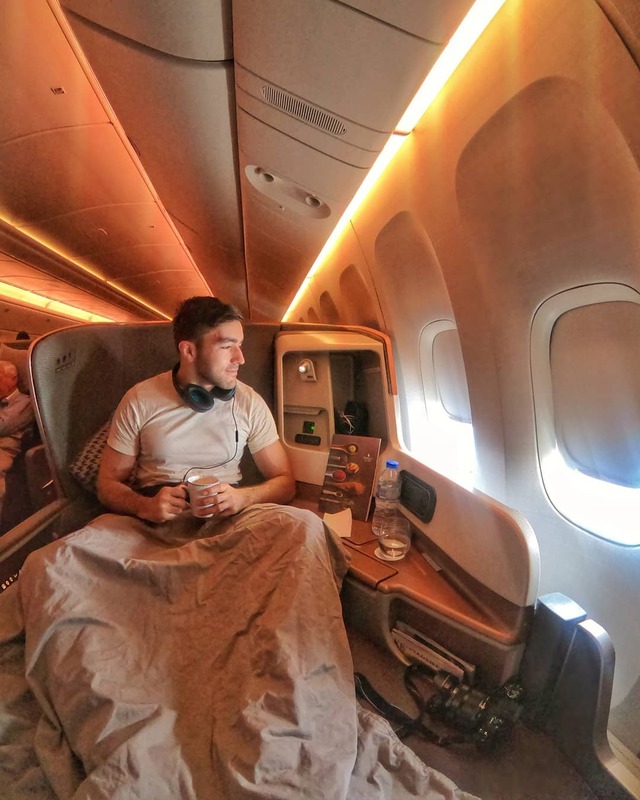 My approach is that as long as I’m flying in Business or First I’m happy to take a longer route and be more flexible on where I travel to. Most people tend to focus on Destination, Speed and Price which means that travelling in comfort is almost impossible. Your grandfather was one of the engineers who worked on the development of Concorde. Do you think this had an impact on your love for aviation? What do you love most about premium travel? The fact that it so effectively condenses the size of our planet. It means that I can go to New York, Dubai, Mexico City or Jakarta for a weekend and still arrive home on Monday, reasonably well rested. The food and booze are clearly a lot better than economy and there’s no doubt that it feels great to use priority lines when the alternative is to wait in a huge queue, however the ability to rest enough to see the world is the big selling point for me. Please share your top tips for securing a great premium travel experience at a lower than average cost…..everyone loves a deal! What is the best flight you’ve ever taken and why? There have been so many amazing experiences over the years that it’s really difficult to pick one. I’ve had a couple of instances where it was only me with the entire nose of a Cathay 747 to myself in first. That definitely takes some beating, especially now that they no longer use the Queen of the Skies as a passenger jet. The honourable mention has to go to my first ever flight on Etihad Apartments. The level of finishes on the cabin, the degree of privacy, the proper cocktails and the showers were all truly mind blowing. It’s also hard to describe how absurdly wonderful it is to be brought a cappuccino in a double bed, as you see the sun rise over the wing of an A380. Which is your favourite airport lounge and why? Again, a very tough question! For business class it’s probably the Star Alliance lounge in LAX. The food is great and there is a decent drinks selection but the expansive outdoor terrace, replete with fire pits and a cocktail bar, is really something else. Luxury means different things to different people what does it mean for you? It means not only being able to have all of your immediate wants and desires met but also having your habits and preferences understood to the point where proactive suggestions are made for you, obviating the need for you to ‘work’ on enjoying your travel. What are the key changes you have observed in the last five years in the luxury sector and what are your predictions for the next five years? 1. The inflation in miles and points and commensurate decrease in the cost of cash fares. Put simply: it is now often cheaper to pay a discounted cash fare to travel in business than it is to use miles. 2. Business class cannibalising First. 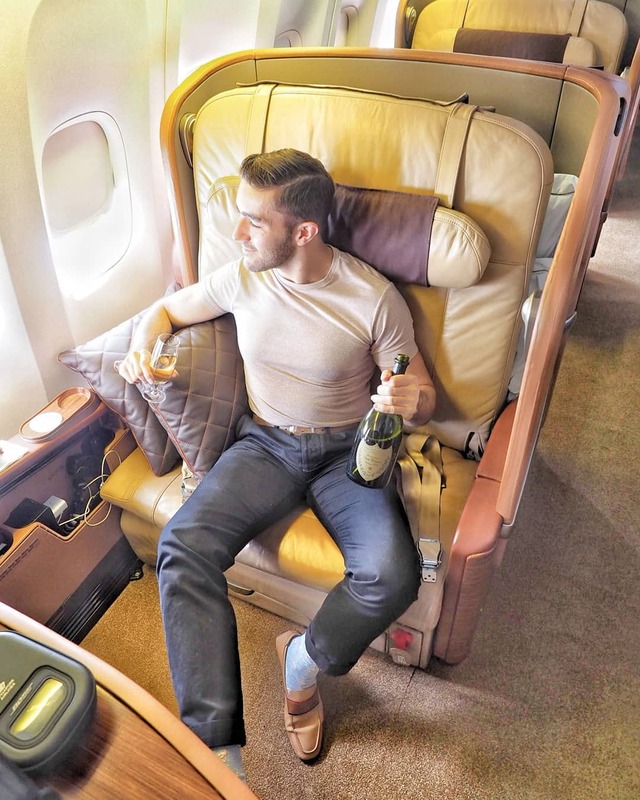 When business class has long stemmed champagne flutes, closing doors, double beds and dine on demand, why bother with First? Finally, what is your life motto? Never miss an opportunity that could one day become a great story. You can follow Jarvis on his Instagram @jarvismarcos and his website.